What is the PiP solution? Facial recognition technology in an app. Like every human, the face of your pet is unique. PiP has worked with leading experts in the field of facial recognition technology to develop one of the most advanced pet identification systems. Using photos uploaded to the system, this technology analyzes a pet’s unique facial features to identify a PiP or positive match between a lost and found pet. And already, the system is achieving a 98% accuracy rate! Personalized care. At the moment a pet goes missing, a PiP client care professional will contact the owner directly to listen, identify PiP's immediate response, and offer support. PiP will also update owners at regular intervals to identify progress being made in finding the lost pet. 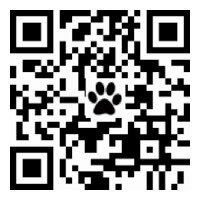 PiP, soon accessible via the free app to all Smartphone users, is the ultimate insurance for a pet!